Have you received an unwanted call from a collection agency during dinner? 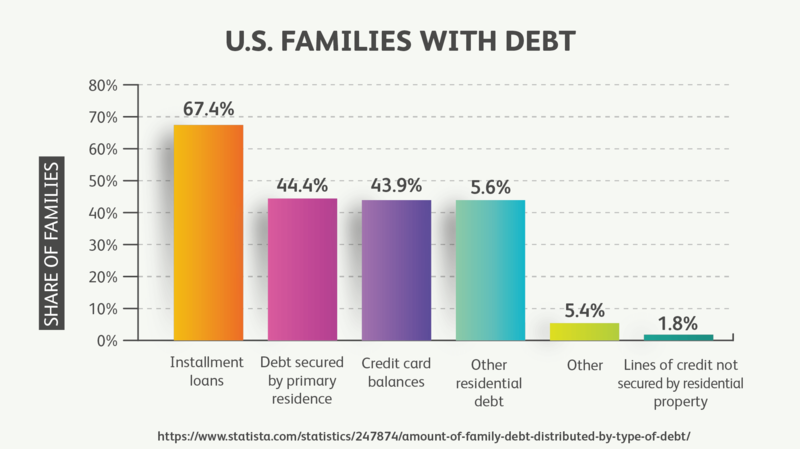 You aren't alone: one in three Americans holds debt in collections, according to the Urban Institute. The amount owed? A whopping $1,450. Getting collection calls at work, at dinner, or after hours repeatedly can be nerve-racking and even agonizing. If that's the situation you're in, you need to know that plenty of others have been where you are now and have since broken free. Don't panic and change your phone number. You can get through this. And with the right approach, you can stop the phone calls for good! Debtors have rights too, and there are laws governing how far creditors can go to collect. Maybe you didn't understand the loan terms and options when you signed up. Or maybe you're unaware of your basic rights. Either way, some homework to learn your options can mean a world of difference. We created DebtConsolidation.com to arm you with knowledge and provide you with relief, no matter how much money you owe or how low your credit score may be. So again, remember: you aren't alone and you can end the sleepless nights. Here's how to permanently stop your creditors from calling you. Borrowers are granted rights under the Fair Debt Collection Practices Act (FDCPA). Collection agencies can't threaten to sue you as an intimidation tactic. Nor can they take money from your Social Security income if you're retired. Every creditor is different and some may be more aggressive than others. Every collection agency is different since they've usually bought delinquent debt at a discount in hopes of recovering the full amount. The more they scare you into paying, the more they earn. Keep that in mind and don't be afraid to assert your rights if you need to. After all, a scammer may have picked your phone number randomly in hopes of scaring you into paying money you don't owe. What is a direct phone number where I can reach you? May I call you right back? Take notice of any resistance or pressure. A legitimate agent would be comfortable with you hanging up and calling back. Maybe, but you will get a call anyway. Being first to call shows the collector two things. First, that you know there's a problem, and second, that you're willing to solve it. And if you were a good customer before running into trouble, it's more likely you'll get a favorable response from your creditor and a better deal for repaying what you owe. You may also be able to move your debt, consolidating what you owe with new lenders that will work with you. But you also need to be prepared for the worst. Be truthful about why you're late, and have your statement ready so you can talk intelligently about what's due. Revisit your budget and be prepared with a repayment proposal. Be realistic and include a date for when you'll starting paying back what you owe. Take action now to get your creditor off your back. Creditors won't need to pester you if you've stayed in contact and are making good on a plan to pay back what you owe. We know phone calls from creditors and collection agencies can be scary. It feels like you're in serious trouble, right? Don't take collection agencies at their word. They may try to collect an old debt. And it may be one you've long since forgotten about. They're hoping you'll pay with no questions asked. Each state has different rules called "statute of limitations" for how long debts can hang over you. Outstanding debt for three to six years may expire. That is, from the last payment. So, no matter what a collection agency tells you, the clock on your overdue debt does not restart if purchased by a collections agency. Get a copy of your free annual credit report from each credit bureau FIRST. Don't agree to anything before you take a magnifying glass to your reports. And keep every bit of correspondence about debts you've been unable to pay. If a collections agency starts calling to collect on a debt that's outside the statute of limitations, you'll have grounds to demand they stop. You'll have to make your request in writing. Collectors get it wrong — willfully or not — a lot more often than you might think. 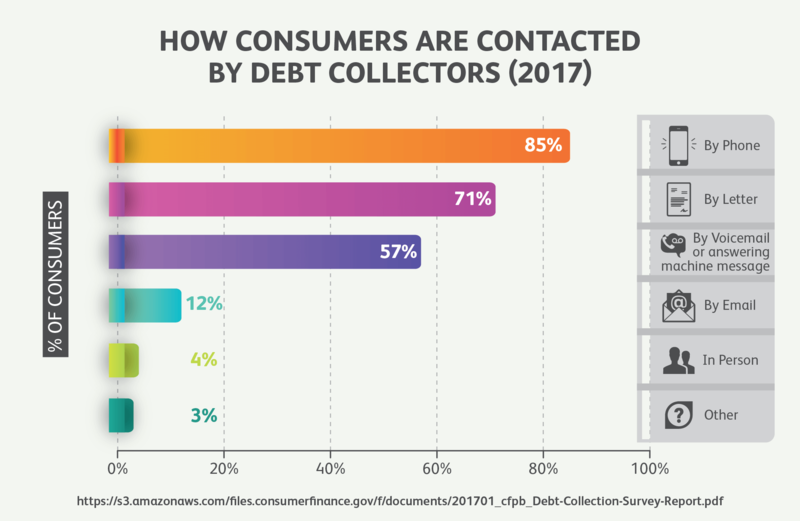 As of Dec. 2016, data from the Consumer Financial Protection Bureau (CFPB) found that 39% of consumers complaining about debt collection practices said they were being contacted about debts they no longer owed. Nor is it difficult to find stories of consumers who've been either overcharged or misled about how much they owe. Which, again, is why you should get your credit report from each credit bureau before agreeing to pay anything to a collections agency. The important thing to remember when dealing with collection agencies is that vigilance on your end pays off. Your rights don't expire when your account becomes delinquent. You have the right to demand the agency attempting to collect from you verify what you owe in writing within five days of contacting you. Compare what they send you to what's on your credit reports. Dispute the claim within 30 days of initial contact. Then, you'll force the agency to verify again, also in writing, what it is you owe. And they'll be prohibited from calling in the meantime. Request clarification and updates as often as necessary. Unlike creditors, collection agencies aren't required to send you statements, making it easy for them to hide interest and fees while demanding you keep paying. While it's always better to settle your debts with your original creditor, rather than allow a collections agency to step in, it still may not be as bad as you think. Why? Remember the business model: because they've bought your debt at a discount, collection agencies have room to negotiate a settlement with you and still profit. Most often, you'll have to negotiate over the phone. That's fine. Just be sure to take notes and keep everything in one place. For example, note the date and time of every call, the name of the person you talked to, what, if any, legal action was discussed, and so on. The more specifics you have, the better. Once you've reached a verbal settlement make sure you get it verified in writing. Don't pay anything until you have a settlement letter. Why? A debt collector could claim your payment as evidence you agreed to the terms set by your original creditor — and the settlement you worked so hard to get goes up in smoke. Insist on seeing paperwork before making a payment. Especially if the representative you're on the phone with is demanding you pay immediately. Instead, politely say: "As soon as I have the agreement in writing, I'll call to verify I have it and get the first payment in the mail to you." Say it over and over and over again if you must. What if you don't have the money to settle? You still don't have to accept endless phone calls at all hours. You have rights as a borrower, and that includes the right to tell the collections agency bothering you to back off — so long as you do it in writing. The CFPB has a useful list of form letters you can copy for making the request. You'll need to do some homework first. The next time a rep calls, get their name and office address. They're required to give you this, by the way. You may also have it if the original verification letter included a return address. Include all that information and the request they stop calling in your note and make a copy for your records. Or just follow the CFPB form letter that best fits your situation. Send an original letter via certified mail as evidence. Pay the extra fee for a return receipt so you have proof of when the collections agency received your letter. You shouldn't hear anything further. 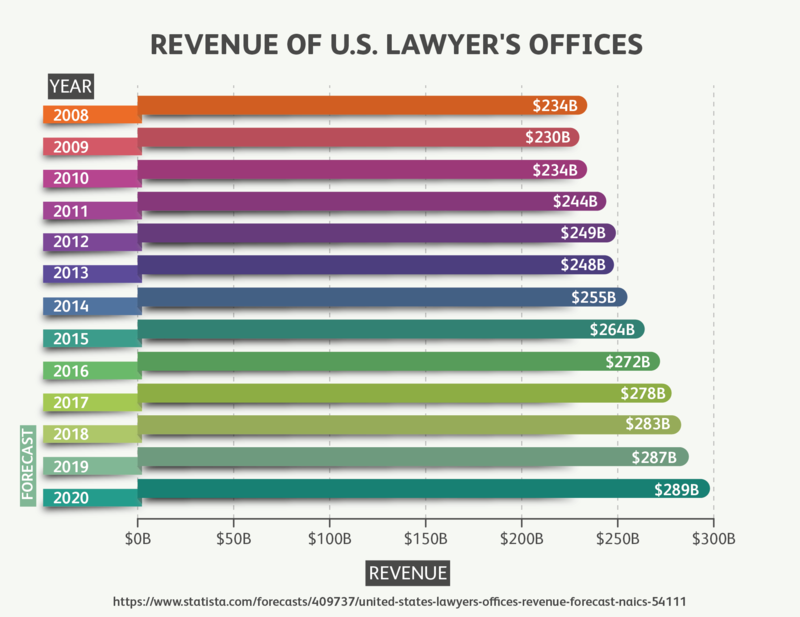 Most attorneys generals have staff and resources dedicated to investigating debt collection complaints. 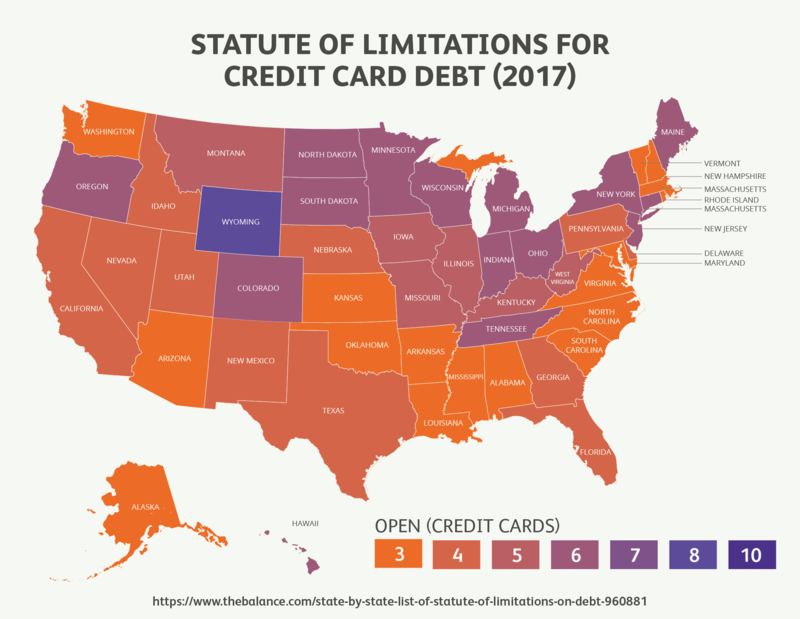 Debt collection scams are a known problem through the U.S. Every state takes action differently, but some, like Colorado, allow you to download a list of agencies licensed to collect debts with notes about when actions were taken against them by the AG. 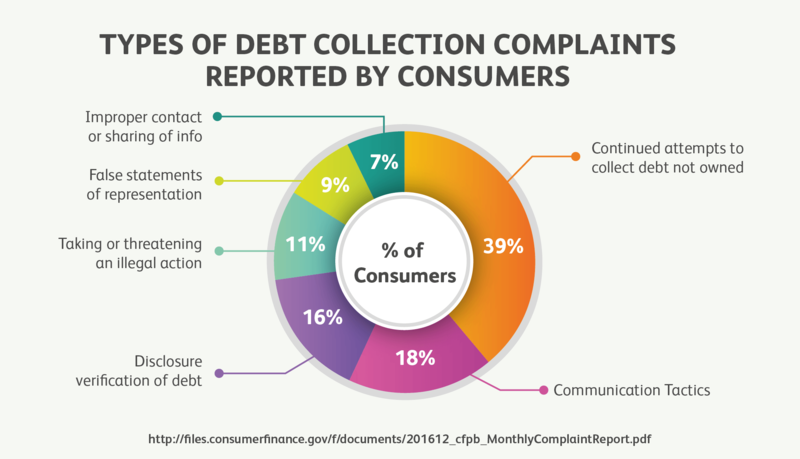 Let the debt collector know you're an informed consumer. Imagine getting a call from a particularly bullying debt collector who has been disciplined previously. Asking when they "settled action taken against them by the Attorney General" does two things: first, it lets the collector know you've done some homework, and second, if you are dealing with a scammer, you've let them know you're aware of how to report them. Either way, you've made it known to the collector that you won't be intimidated into paying, which may get them to drop pursuit. And if they don't? Filling out a simple online form will register your complaint with the attorney general, whose office may follow-up directly if your story is particularly egregious. More likely, the AG will keep tabs on agencies that are repeat offenders and dole out fines or restrictions. Debt collectors can be relentless or even dirty. Say you're 120 days past due on a credit card and the rep is calling you at 5 am to ask for payment. Or the rep is calling you at work when your office has a policy of not accepting calls from collections agencies. Both tactics are illegal, in which case it may be time to hire an attorney. Avvo has an online tool to help you find a local attorney who has experience with debt collection cases. Sound crazy? Not if you value peace. Because once you've introduced the collector to your lawyer, they're no longer allowed to contact you. Better still: attorneys that specialize in defending consumers against debt collectors will often provide services pro bono, collecting their fees from miscreant agencies that have probably broken the law. Keep good, detailed records of every interaction if you think you'll need an attorney at some point. In extreme cases, it may be worth filing a lawsuit, especially if you can document multiple instances where an attorney believes your collector violated the law. The key here is having an attorney who sees a case to be made. Why? Because collection agencies sue consumers all the time and will have years of experience skirting boundaries. An expert attorney can tell you whether your records prove misconduct. A judge can require the collector to pay for damages. Lost wages and medical bills suffered because of illegal collection practices, for example. And even if you can't prove damages, you may still be awarded up to $1,000 while your attorney collects fees and court costs. Be warned: winning a judgment doesn't cancel your debt! Though your harasser collector may be far more willing to settle in light of the judgment then they may have been before. You can get through this and get free of debt and debt collectors. First, you need to know your rights. Then be proactive, research, ask questions, and assume nothing. Put everything in writing and get help if you need it. Harassment is never, ever OK. In fact, it's against the law — and you have every right to sue to make it stop. Next step: use the resources here to develop a plan to get out of debt for good. Ready to take action? Pick a tactic and get to work, and then keep going till the calls stop! Have you ever hired an attorney to sue a debt collector? Settled a debt at a fraction of what you owed?